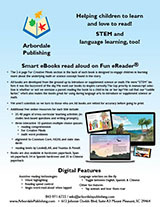 Arbordale books spark excitement for reading with engaging stories and a nonfiction "For Creative Minds" activity section. Kids can explore the "how" and "why" of science topics! 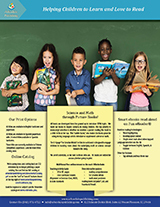 Arbordale books are also perfect in educational settings; click here to find our teaching guides, reading alignment, and standards alignment. For easy ordering download our order form (full-8 pg) or order form (new releases-1 pg). 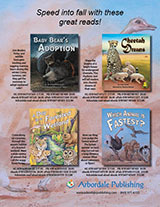 More than half of the Arbordale Collection bears either a gold, silver or bronze award seal from a book awards program. 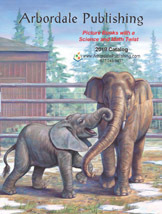 In the collection we have winners of the prestigious IRA/CBC Children’s Choices award, several NSTA/CBC Outstanding Science Trade Books award winners, and editor’s choice picks from both ForeWord Magazine and Library Media Connection. 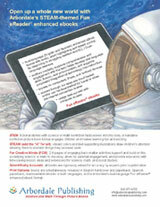 Our Fun eReader eBook platform features interactive eBooks that reads aloud in both English and Spanish. It is web based, with free iPad and Android Apps and has twice been named a District Administration Magazine - Readers Choice Top 100 Products. 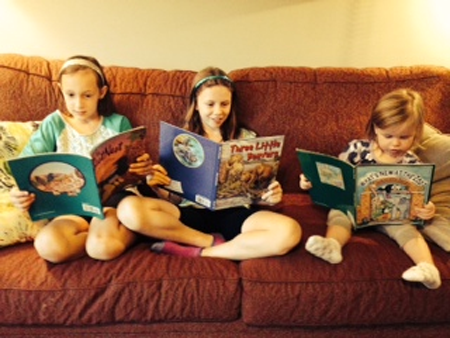 Our books appear on state reading lists all across the country including Texas, California, Kansas, Maine, South Carolina and Florida. Learn more about our books and ebooks, read what people are saying! First and foremost each book is chosen because of a compelling story that has the ability to inspire creativity and learning. The last three to five pages of each book is dedicated to fun and educational learning activities For Creative Minds. All books and activities are Aligned to Standards including Common Core, Next Generation Science Standards, and as well as all state standards for science and math. (1) Teaching Activities - a 30-50 page, cross-curricular guide to aide in creating lesson plans or home activities to enhance learning. 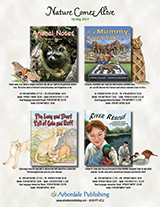 (2) Interactive Quizzes - three ten question quizzes covering reading comprehension from the story, the non-fiction For Creative Minds educational section in the back of each book and math quizzes. Arbordale encourages students to visit related organizations websites to continue learning by providing additional websites for families to visit and learn more about the books’ subject from the experts.